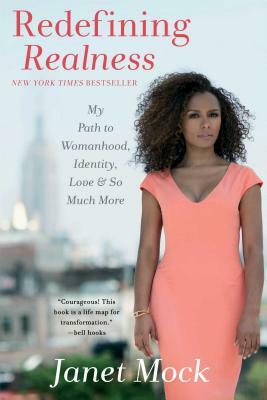 In her profound and courageous New York Times bestseller, Janet Mock establishes herself as a resounding and inspirational voice for the transgender community—and anyone fighting to define themselves on their own terms. With unflinching honesty and moving prose, Janet Mock relays her experiences of growing up young, multiracial, poor, and trans in America, offering readers accessible language while imparting vital insight about the unique challenges and vulnerabilities of a marginalized and misunderstood population. Though undoubtedly an account of one woman’s quest for self at all costs, Redefining Realness is a powerful vision of possibility and self-realization, pushing us all toward greater acceptance of one another—and of ourselves—showing as never before how to be unapologetic and real. — Melissa Harris-Perry, Wake Forest University Professor and host of MSNBC's "Melissa Harris-Perry"
"Janet Mock’s groundbreaking book is testimony to the remarkable progress trans people have achieved over the last decade-- and shines a bright light on the work that still needs to be done. Mock’s clear, lucid prose will open hearts and minds, and further the goals of equality and justice--not just for trans people, but for everyone. Redefining Realness is loving, searing, and true." "Janet Mock's honest and sometimes searing journey is a rare and important look into la vida liminal, one that she manages to negotiate remarkably well, with grace, humor, and fierce grit. Mock doesn't only redefine what realness means to her, but challenges us to rethink our own perceptions of gender and sexuality, feminism and sisterhood, making this book a transcendent piece of American literature."